TORONTO/ HASTINGS, Minn. (Dec. 3, 2018) – Who’s your All-Star Hero? 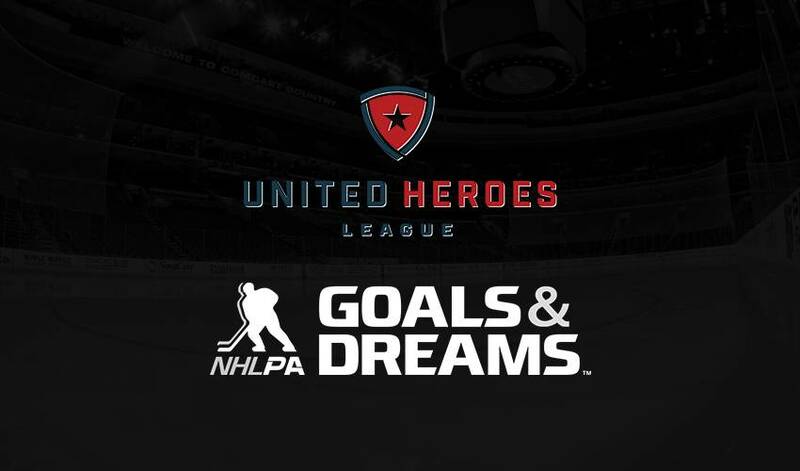 The United Heroes League (UHL) and the National Hockey League Players’ Association (NHLPA) through the players’ NHLPA Goals & Dreams fund have announced the launch of the All-Star Hero campaign to recognize military personnel and their families for their services. Beginning today until Dec. 16, the public is being asked to nominate their military hero through www.UnitedHeroesLeague.org. Open to all branches of service, submitted nominations will capture some basic information for either a U.S. or Canadian Forces service member, as well as a narrative as to why they deserve to be selected. During the holiday season, four service members will be chosen by the UHL. Each selected service member and a guest will receive air travel to San Jose for the chance to meet and interact with players in the NHLPA All-Star Lounge at the 2019 Honda NHL® All-Star Weekend. Tickets to NHL All-Star Skills and the NHL All-Star Game will also be provided, along with hotel accommodations, ground transportation and other prizing. Currently serving and honorably discharged Veterans from the United States or Canada, as well as immediate family members of those killed in action. All branches of service, both active duty and reserve components. All ranks, both enlisted and officers/warrant officers. Service member must have deployed one or more times overseas to a combat zone. “While many players have worked with the United Heroes League over the last several years, we are very excited to expand our relationship and partnership, through the All-Star Hero initiative, in support of the important work they do for our Veterans,” said Mathieu Schneider, NHLPA Special Assistant to the Executive Director. “The NHLPA and its members have been a rock in our organization for almost a decade now, and this new initiative is just another example of how important the sacrifice of our Veterans is to the players. I’m beyond excited to have Brent Burns, Matt Hendricks, Vinni Lettieri, and Jake Gardiner involved in this project as ambassadors for their regions. This will be one of our biggest moments yet; creating a once in a lifetime memory for some incredibly deserving Service Members, and we couldn’t do it without the NHLPA Goals & Dreams program,” said Shane Hudella, President & Founder of United Heroes League.